Easy excursion: People planning trips to Mykonos frequently ask me if it’s possible to visit other islands for either all or part of a day. It certainly is! 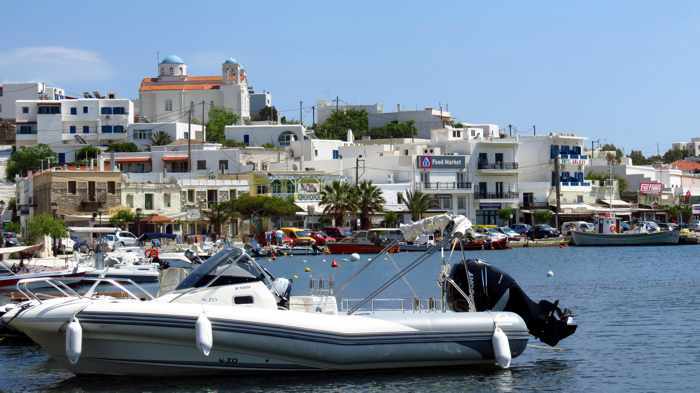 The next easiest getaway for a day is to Tinos, which can be reached either by regular ferry service from Mykonos, or on tours organized by excursion companies. 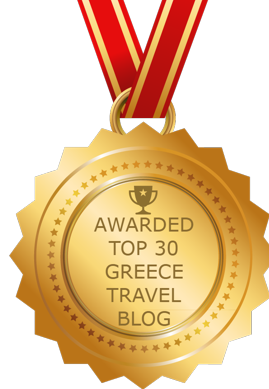 Unlike hip Mykonos, which is one of the most contemporary and “touristy” destinations in Greece, Tinos offers a more authentic Greek island atmosphere and visitor experience. Tripotamos, one of 40 traditional villages on Tinos, is seen in a Tom DeBelfore photo from the Tinos, Kykladen/ Τήνος, Κυκλάδες page on Facebook. There’s nothing even remotely comparable to these villages on Mykonos. 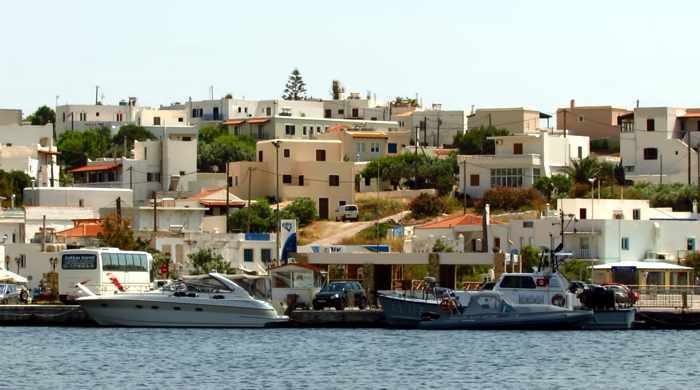 Mykonos is popular primarily for its beaches, its sophisticated hotels, bars, restaurants and nightlife, its picturesque Mykonos Town commercial center, and its legendary status as one of the leading holiday and party destinations for the international “jet set” since the 1960s. Tinos has excellent beaches, bars and restaurants, too, but it also boasts sights and features you won’t find anywhere on Mykonos, including fabulous mountain scenery, dozens of traditional villages and settlements, thousands of dovecotes, and the Church of Panagia Evaggelistria, the country’s most-visited Greek Orthodox pilgrimage shrine. An important center for religion with a long history of marble carving and stone artwork, Tinos gives visitors the opportunity to see a traditional side of Greece that’s almost impossible to find amidst the glitz and glamour of the designer boutiques, trendy nightclubs and posh resorts that abound on Mykonos. The Church of Panagia Evaggelistria (Our Lady of Tinos) is visited each year by thousands of tourists and Greek Orthodox pilgrims. 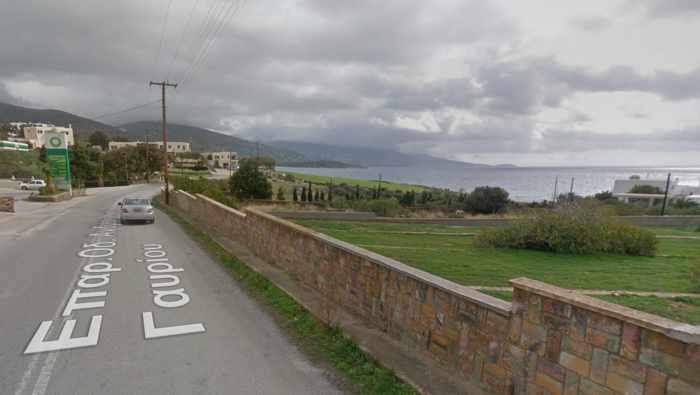 This photo of the church appeared on the Facebook page for the local TINOS About magazine. Because of their sharply contrasting attributes and attractions, the two islands might seem worlds apart. 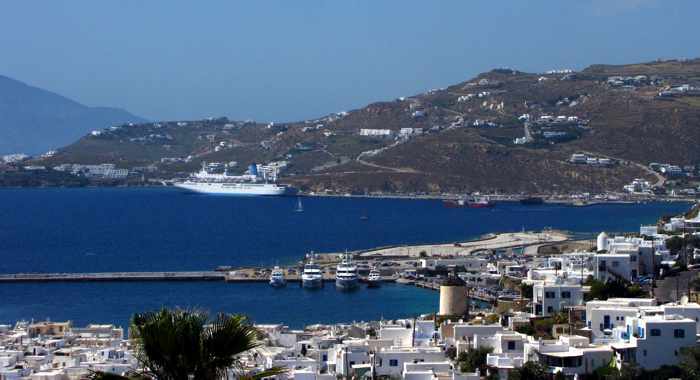 But since they’re separated by just a short ferry ride across a narrow channel, a daytrip to Tinos would nicely complement a longer stay on Mykonos (or vice versa). 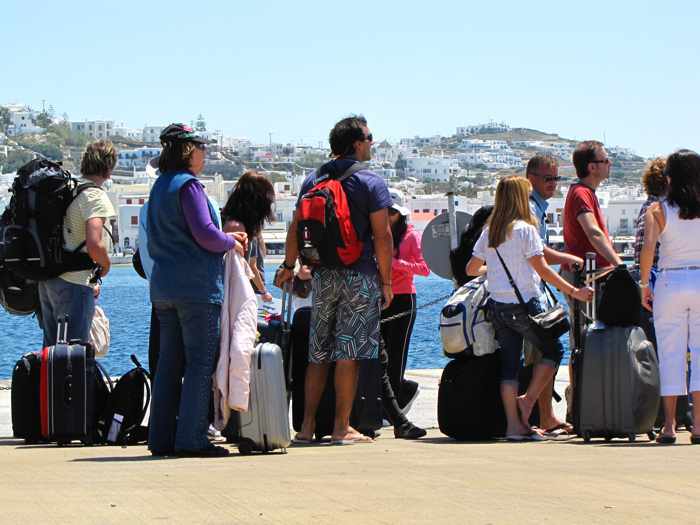 If you would prefer to see Tinos independently, check with the Mykonos ferry ticket agencies for boat schedules on the particular day you’d like to do your daytrip. 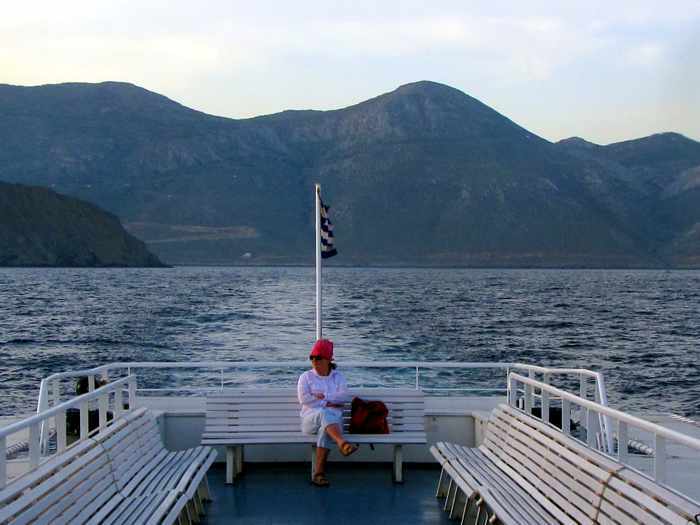 For years, the Theologos P car and passenger ferry has offered the most reliable and convenient round-trip ferry service between the two islands, with breakfast-time departures and mid-evening returns. 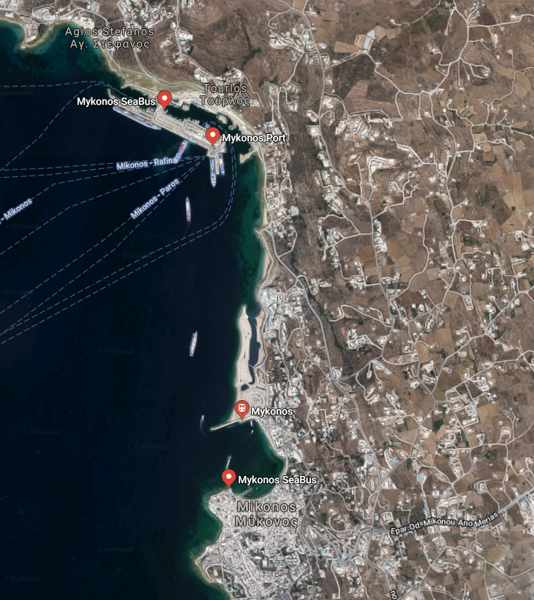 Theologos P typically departs the Mykonos New Port around 7:35 a.m., arriving at Tinos Town 30 minutes later. 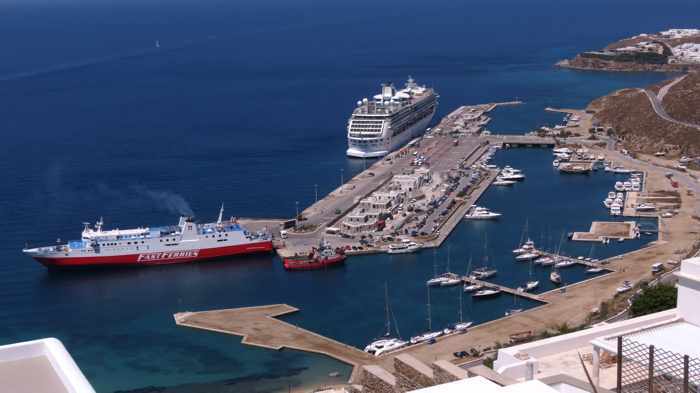 You’ll be able to enjoy a full day of sightseeing and even dinner at a local taverna before sailing back to Mykonos on Theologos P’s 9:35 p.m. return voyage to Mykonos (it reaches the Mykonos New Port shortly past 10 p.m.). 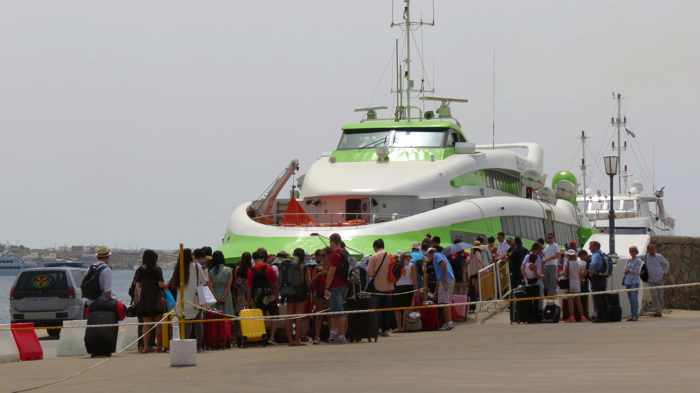 Several other ferries operate between Mykonos and Tinos, but their later departures and earlier returns allow only a few hours on Tinos. 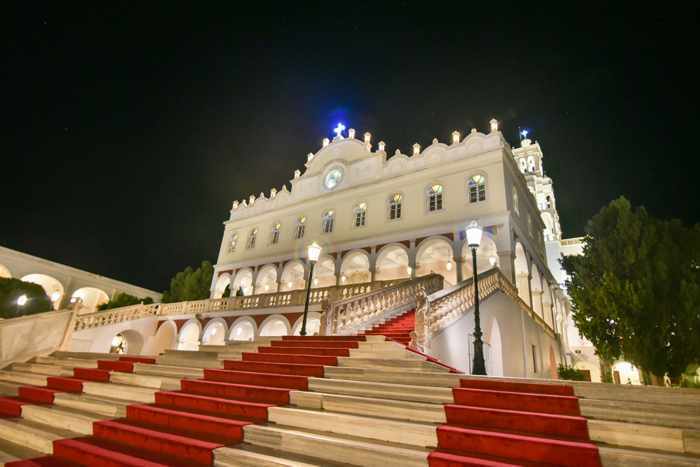 That’s still enough time to take a walk around Tinos Town and visit the island’s world-famous Our Lady of Tinos Church. But after getting to see Tinos for just three hours on our last vacation (see my previous post Our brief intro to Tinos for photos), we strongly recommend arranging as much time on the island as possible. 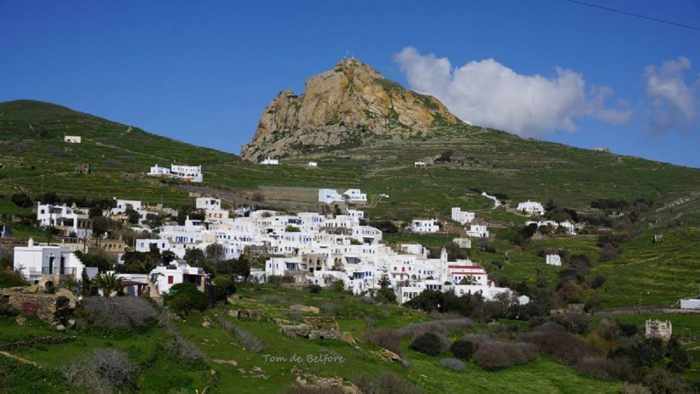 Friends who have done numerous daytrips say that by catching the Theologos P in the morning, they can take a taxi or bus to one of the mountain villages above Tinos Town, hike back down and spend a few hours sightseeing and having dinner in town. The return trip of Theologos P gets them back to Mykonos while the night is still young. 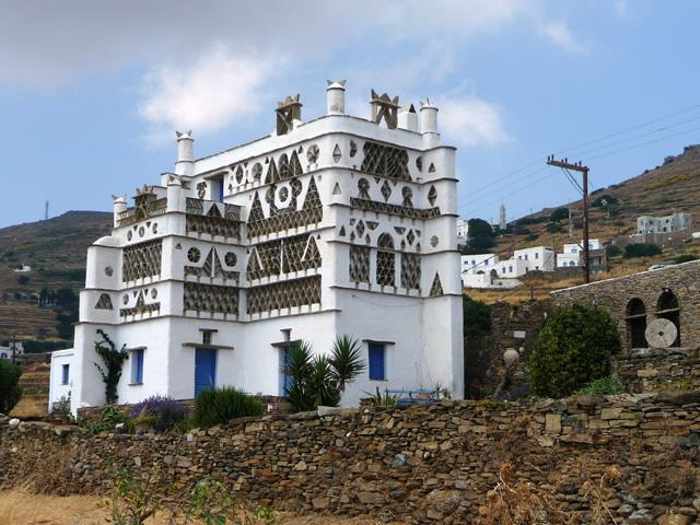 Another possibility, they say, is to rent a car at Tinos Town and spend the day driving around to see some of the 40 villages, thousands of dovecotes and hundreds of chapels scattered across the island’s hills and mountainsides. If you want to get an idea of what Tinos is like (and also Mykonos, if you haven’t been there yet, either), watch the Hyperlapsing Tinos and Mykonos video that I posted at the top of this article. 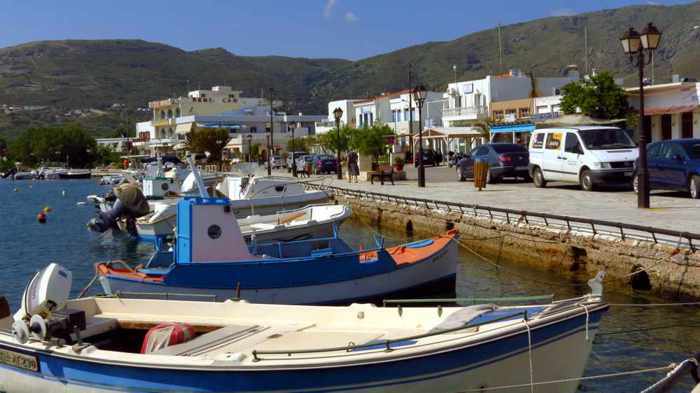 The 6.5-minute film will give you a speedy tour through the lanes and alleys of Tinos Town and Mykonos Town, and will take you to other parts of each island as well. It even shows some of the coastal scenery you’ll see on both islands during the ferry ride. You can see more of Tinos in the video Tinos Greece 2015, below. It’s actually a slideshow presentation of photographs that YouTube contributor Lusko18 shot at numerous different locations on the island last year.